What experience do I need to attend GEMS camp? Outdoor experience levels do not matter. 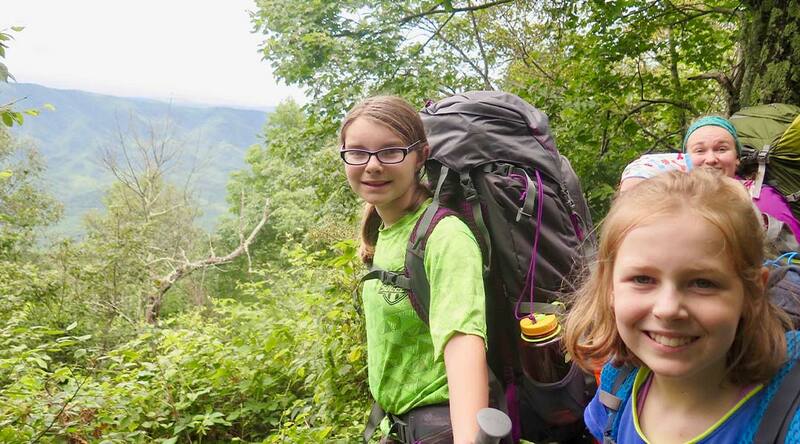 Campers with no experience, weekend day-hikers, and seasoned wilderness warriors are all welcome to partake in the Girls Empowered experience. 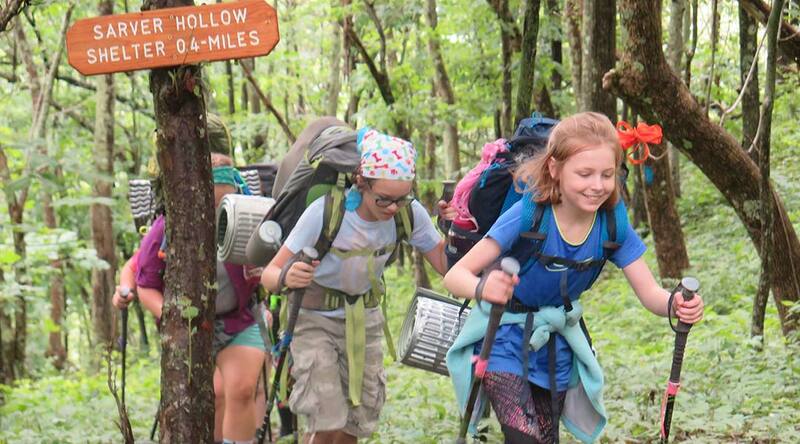 No matter what experience you arrive with, we hope each girl leaves feeling empowered by the benets of outdoor learning. Yes! Mountain Shepherd is on a gorgeous 100 acre property bordering the Jeerson National Forest. During GEMS 1: Shining Bright, many activities will be set up under parachute canopies. GEMS 2, GEMS 3, and GEMS: Polishing Up campers will spend several days of their session in other outdoor settings while backpacking, canoeing, caving, and rock climbing (see course descriptions for more information). In all sessions, campers should plan to spend the majority of the day outside – rain or shine. We teach campers how to dress appropriately for the weather (see packing list for specics). What is the age requirement for camp? This program is designed for girls entering grades 6 and up. Each session is open to mixed age groups for a unique peer-to-peer experience. For example, GEMS 1 sessions are ideal for girls entering grades 6-8, while GEMS 2 and GEMS 3 sessions may each have a combined group of girls entering grades 7 and up. Should campers bring a friend to camp? Campers are sure to leave GEMS with new friends! 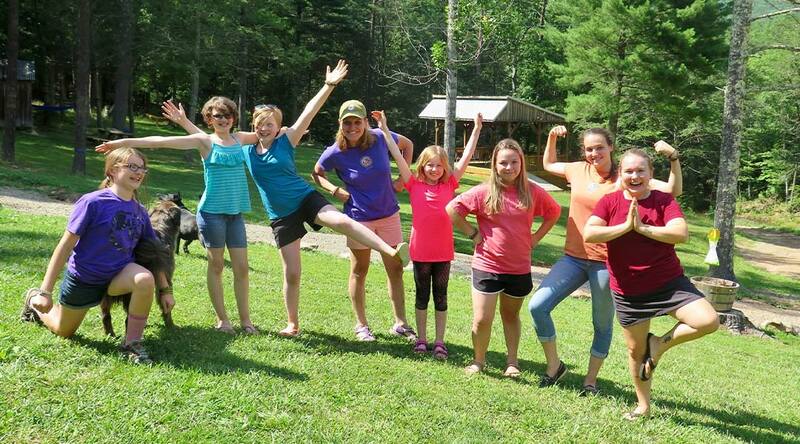 During the school year, many of our campers write letters to each other, set up group messages or video calls, and look forward to being reunited with their fellow GEMS. Of course, if you know a fellow girl in middle school or high school who might like GEMS, have her sign up, too! Do I sleep under the stars? Depending on your comfort zone and the level of GEMS camp you are in, you may have that opportunity! All GEMS campers are housed in Mountain Shepherd’s cozy bunk rooms with private bathrooms attached. During GEMS 1, there are opportunities to camp together in tents on the property for campers who are comfortable doing so. During GEMS 2, GEMS 3, and GEMS: Polishing Up, we will camp together in tents on our backpacking or canoeing expeditions. Do I get to eat bugs? You will learn which bugs are edible and how to find them. Eating them is optional! What else will I eat while at camp? Breakfast, lunch, dinner, and snacks are provided daily. Campers enjoy delicious, balanced home-cooked meals, and we can accommodate for allergies and dietary restrictions as needed. We prefer that campers do not keep their own food in bunkrooms. What more can you tell me about my daughter’s safety? The adult to camper ratio is 3:12 or better depending on enrollment. 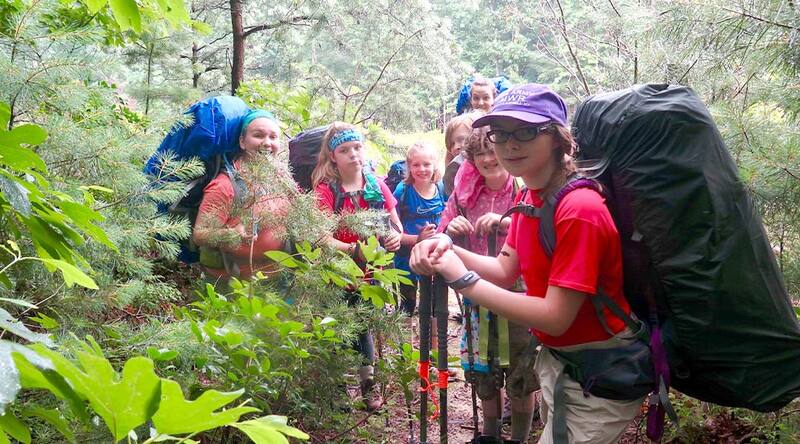 Campers and adults move together between activities and during upper-level expeditions. There will be a female adult with your daughter throughout the day and quickly accessible at night. All staff are Wilderness First Aid or Wilderness First Responder trained. Moreover, Mountain Shepherd prohibits the possession and use of weapons, rearms, and drugs. When does camp start and end? Each session begins on a Monday morning at 9:00am and wraps up on a Friday afternoon by 4:00pm. To accommodate for traveling and other schedule conicts, campers are welcome to arrive at Mountain Shepherd on Sunday afternoon or evening before their session begins, for an additional fee. Airport pick-up and drop-o from Roanoke-Blacksburg Regional Airport (ROA) is also available with prior notice. Local weather is hard to predict. We suggest you watch the forecast for zip code 24070, and bring along clothing for hot, sunny afternoons, chilly evenings, and rainy days. Our packing list can help! Do I need to buy a lot of gear? Not at all! The most necessary items are comfortable, weather-appropriate clothing and a pair of sturdy sneakers, walking/hiking shoes, or hiking boots. Closed-toe shoes are required; no flip flops, sandals, or other open-toe shoes. 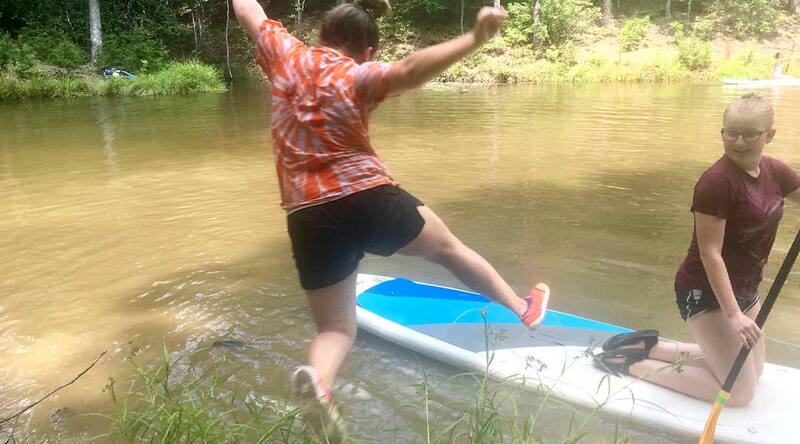 To avoid blisters and other injuries, we don’t recommend campers bring brand-new shoes or boots to wear during camp. Our packing list species required items and offers some suggestions for optional items. We provide basic toiletries, towels and linens, and all outdoor equipment (please review the Equipment and Property Care policy regarding all supplied outdoor equipment). What should campers leave at home? We recommend leaving all electronics at home to enhance the outdoor experience! Cell phones are allowed for contact with parents/guardians, but will be stored in a safe place accessible by sta. Only Verizon-connected cell phones will operate at Mountain Shepherd. Campers will be given plenty of opportunities to call home via personal cell phone or landline. Sta will update families with plenty of photos!